Yes, there is such a thing as Fiber’s heaven. I wouldn’t have guessed it would be in Navasota Texas, but hey, it’s not my place to decide where fiber’s heaven belongs. 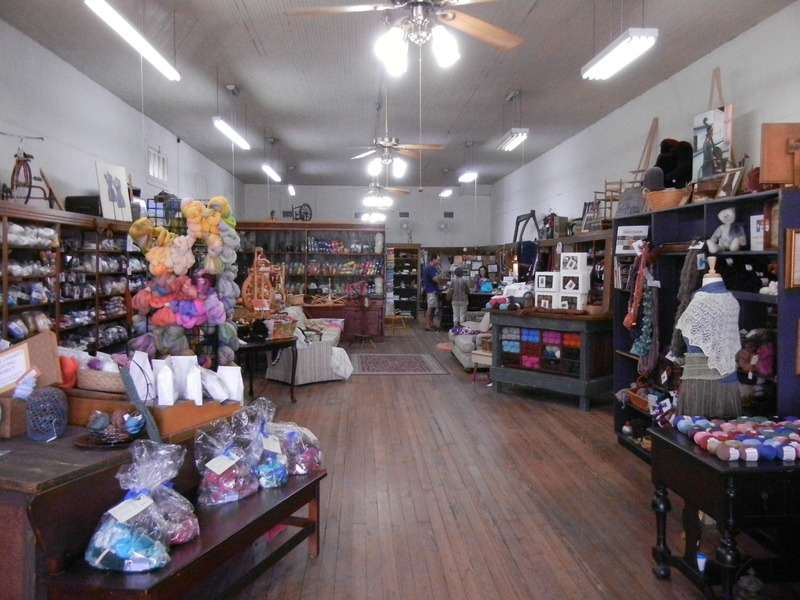 This is WC Mercantile, a fibers store that caters to .. all things fibers. They have silk, cotton, all kinds of wool in raw form for spinners, all different weights for knitters and crocheters, and by the lb for weavers. They have spinning wheels, knitting needles, mx dyes, wool and cotton cards, it was too much to take in all at once. 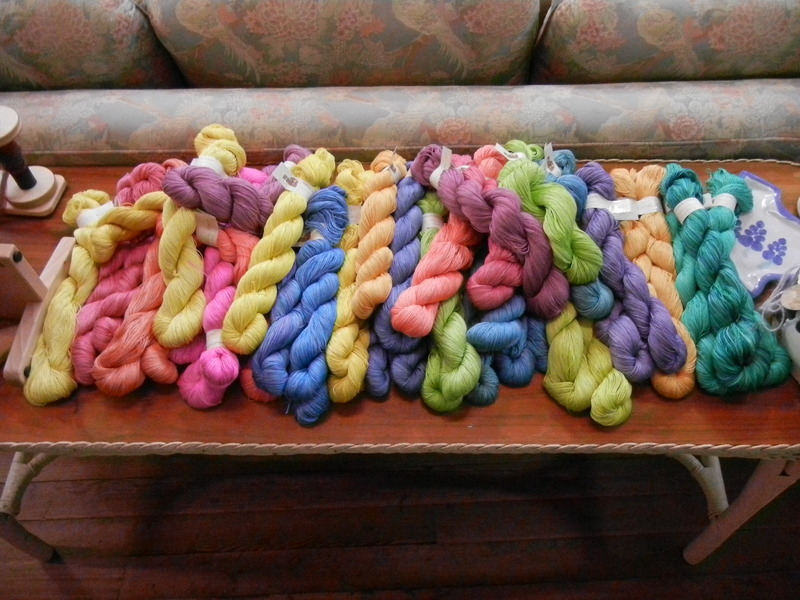 This table of hand dyed silk was hard to pass up. 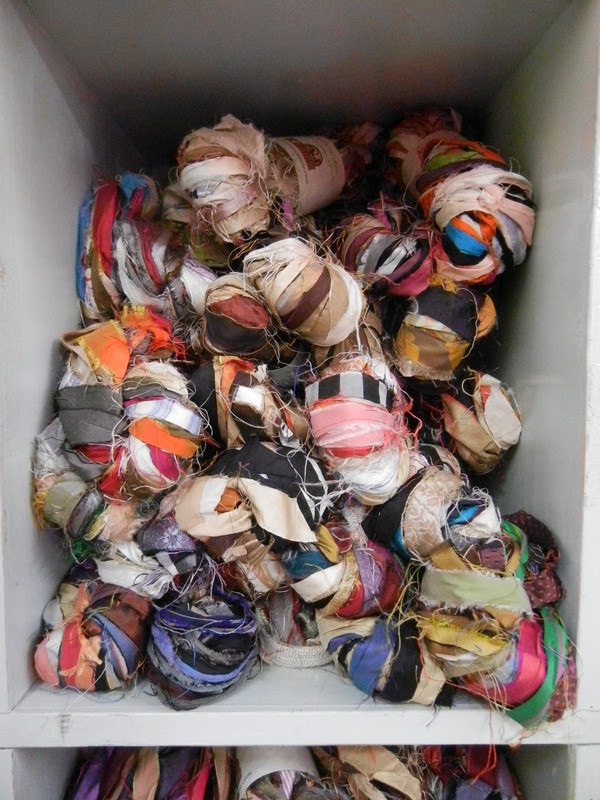 Scrappy fabric strips are popular now and were offered in an abundance of colors and prints. 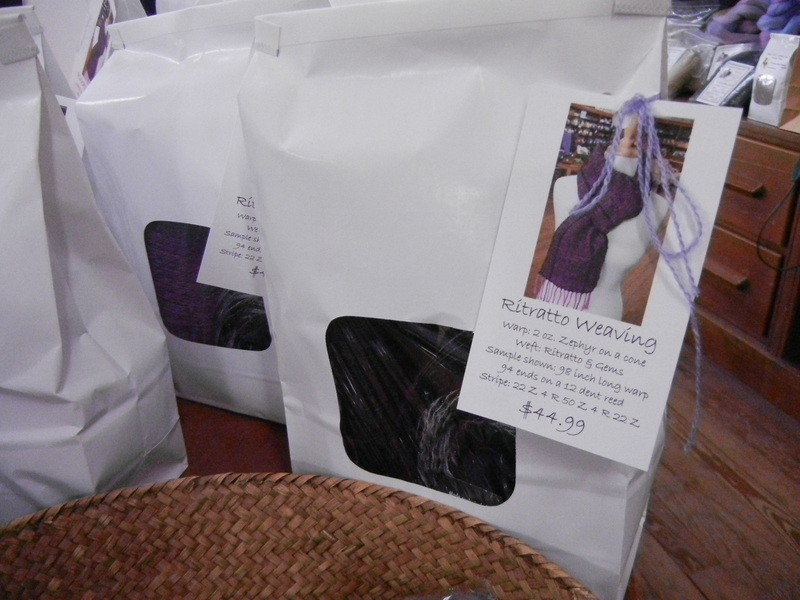 They even offer kits – this one includes everything to weave a scarf. The yarn was dyed by the owner’s mom. I ended up purchasing 3 cones of a fine merino/silk blend for weaving. They schedule classes – an upcoming event I wish I could attend is a weaving workshop taught by Laura Fry. The workshop will focus on how to work efficiently and with good posture. It is happening September 21-23. Their website (linked above) has more information about the event. It is extremely encouraging to find places like WC Mercantile – seeing the craft that I love so much be promoted and have a space provided for its growth is heart warming. All in all, the place was great. 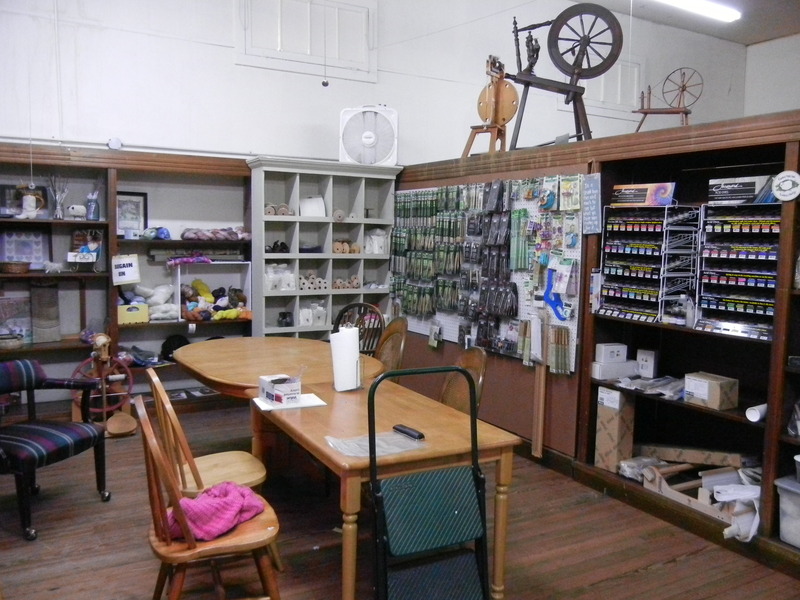 It has great atmosphere, a comfortable setting with couches and work tables for exploring a new stitch or project. The prices were very reasonable for the quality of the products offered. And the owner was very knowledgeable about everything in her store and was very patient with all of my questions.